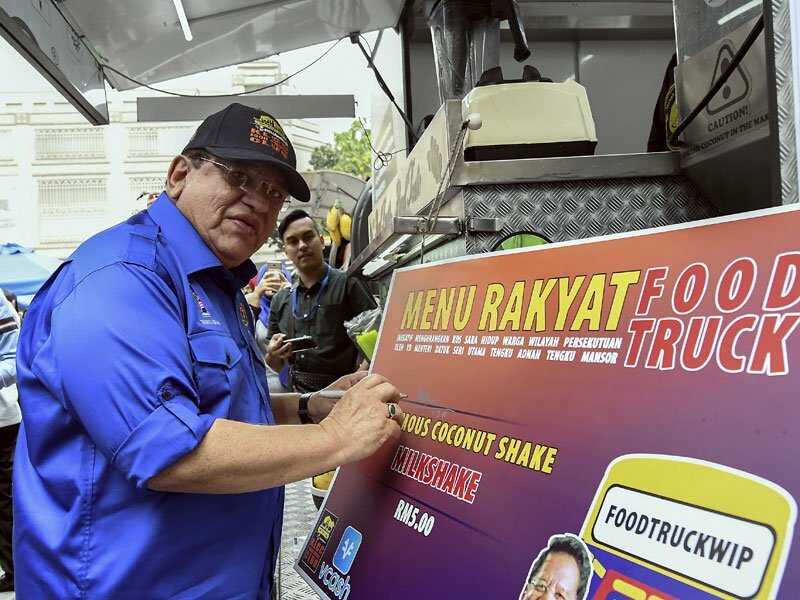 KUALA LUMPUR: The Federal Territories Ministry expected about 1,000 food truck business licences will be issued by year’s end to realise the aim of zero roadside traders in and around the federal capital by 2020. Its minister Datuk Seri Tengku Adnan Tengku Mansor said so far the Kuala Lumpur City Hall (DBKL) had issued 220 such licences. “At present we are discussing with the truck manufacturer on how we can address the problems faced currently by these entrepreneurs such as obtaining financial loans,” he told reporters after opening the 2016 Federal Territories Day Food Truck Carnival in conjunction with the ninth World Urban Forum (WUF9) here today. He said his ministry had also held discussions with Majlis Amanah Rakyat (MARA) and National Entrepreneur Group Economic Fund (Tekun) to assist them besides identifying a suitable location for the food truck business centre. “For the time being, the traders have static places at certain parking areas provided for them to come during lunch or dinner time,” he said.